In this post, we’ll reveal the latest Google My Business updates, give you the pros and cons to GMB’s free website builder, and share how local guides benefit businesses and the participants. After all, vigilance and thriftiness are two key components to Kansas City internet marketing. If you haven’t been keeping up with the new Google My Business features, have no fear! Ontarget Interactive is here to update you on everything you may have missed out on. And, if you haven’t already created a Google My Business account, you can create one for free here. This listing generates a plethora of information that interested customers can access without ever leaving the search page. It’s a free way to get started with your Kanas City internet marketing. To encourage businesses to stay current on their Google My Business information, Google began testing a feature called Mini Dashboard in June. With this, businesses can edit their local information directly from the search results as long as they’re logged into the Google account associated with that business. You can add photos, view your stats, edit your business listing and see your reviews with this new tool. This feature benefits businesses and customers alike. Businesses can easily update their information and customers are getting the latest information on the businesses they’re interested in. You can create a post in Google My Business to allow those interested in your business to get a quick sneak peek of the content they can expect from your website. Simply log into your My Business dashboard, go to the left side of the screen for ‘posts’ and select the option to add a new post. Businesses can use posts to announce new promotions/daily specials, promote visibility of new events, showcase new products or bestsellers, take reservations, garner newsletter signups, or sell a product directly. Options include adding an image, a title, and up to 300 words of text. Another beneficial addition is a call-to-action button that can say ‘learn more’, ‘reserve’, ‘buy’, ‘sign up’, or ‘get offer’. These posts can even pop up in Google Maps depending on the search query. This feature began as ‘candidate cards’ in January 2016 when the elections were going on, but has now evolved to include small businesses. This feature benefits Kansas City internet marketing by providing another outlet for your content marketing. Google prohibits gimmicky content like “BOGO 50% off”—anything that sounds too sales-y or spam-y is going to get penalized and removed. Inform your customers about your products/services rather than treating the spot like a Google AdWords call-to-action. Additionally, you should provide as much information as you can. Fill out all the fields, including concise headlines and well-focused imagery. Posts are meant to encourage businesses to release time-sensitive information, so you should update these regularly. They can be edited or deleted at any time, but posts only stay live for seven days. There isn’t currently a function to schedule posts either, so it may be smart to just make the post update a part of your weekly routine. Events, however, will stay live until the event is over. Google will scroll up to 10 posts in a carousel, but you’ll only be able to see the first 2.5 on the search results without scrolling. As far as images go, the best size to use is 760 by 750. You should make your image ‘center-weighted’ to ensure they show up correctly (ie: subject shows up in the center no matter what device is used). The first 100 characters are what show up in the knowledge panel, so be sure that you put the important info at the beginning. By following these tips, you ensure that the post update contributes to your Kanas City internet marketing. Within the Google My Business home page, there’s a new section for ‘messaging’ on the bar to the left. An option in the middle promotes this feature—“message with customers”—so you shouldn’t have an issue finding it. You’ll need to set up the mobile number of the Allo device that you want it to connect to. Once the number has been verified, you can create an autoreply to customers who use the feature. This is great for businesses that don’t have the time or budget to invest in social media accounts. It’s also the perfect solution if you get a lot calls throughout the day and don’t want to force potential customers to wait on hold. Local pack ads are now shown on mobile devices, further incentivizing businesses to pay for advertising. This is great news for paid Kansas City internet marketing. If there’s a GBM listing ownership dispute with an agency, business owners can now fill out a simple form for Google to resolve the issue within 7 days. Google My Business now reports on returning customers, meaning business owners can now see what portion of their foot traffic is coming from repeat customers. This information comes anonymously from users who have opted into Google Location History. You can now add links to off-site attributes. This means that your links can point to pages outside of Google My Business, like menus. In June of this year, Google released a free website builder for small business that connects with the Google My Business platform. Customers expect that legitimate businesses have a website, yet Google claims that 60% of small businesses worldwide still don’t have one. Their plan to remedy this? Make them an offer they can’t refuse. Their simple, one-page website builder automatically creates a website using the information from your Google My Business listing. You still have some control over your site though; Businesses can go in and change the template and add their own text and photos. Without a website, your business has no base to share news or product information. That’s a big no-no in Kansas City internet marketing. There are pros and cons to this options. Even though it’s free to use, you’ll have to pay if you want a custom domain (.com, .net, etc.). If you don’t purchase through Google domains, your website will have a URL like yourbusinessname. business.site. These sites are mobile-friendly, have automatic updates, and can be managed from your phone. Plus, it’s easy to place ads on the site, and it includes Google Map embed. Some cons to this option are that it’s only a one-page site, you can’t add custom page titles and meta-descriptions, you can’t include any structured data markup, there is no alt-text available for images, and there’s no analytics integration. This makes it hard for you to both SEO your website and track how well your site is doing. No social share buttons means no content marketing potential, and no call-to-action buttons means you may be missing out on some valuable conversions. We recommend creating your own website design or utilizing a template from a site like WordPress if you have the budget for it. Once your site is all set up, you can get started on Kansas City internet marketing. Recently, I searched for a local business from my phone in the Google app. To my surprise, there was a pop-up asking a question about the business I was searching: ‘does this business have a parking lot?’. I could answer ‘yes’ ‘no’ or ‘not sure’. Upon submitting my answer, I learned that you can receive points from Google Local Guides by answering these types of questions. Basically, Google bribes you to be their minion. You can earn Google Drive storage and insider access if you’re willing to work for it. There are other, less material rewards too. By making Maps more accurate, you’re providing Google with the localized data that they just don’t have the resources to keep up with. And you’re helping out the other customers in your city! You can ascend in ranking by earning points for reviews, photos, adding/editing places, and answering questions. Though the first couple of levels don’t have too many benefits (ie: a monthly newsletter), level four has rewards that are actually worth something. You can get a terabyte of Google Drive storage for two years and an annual mystery thank-you gift. 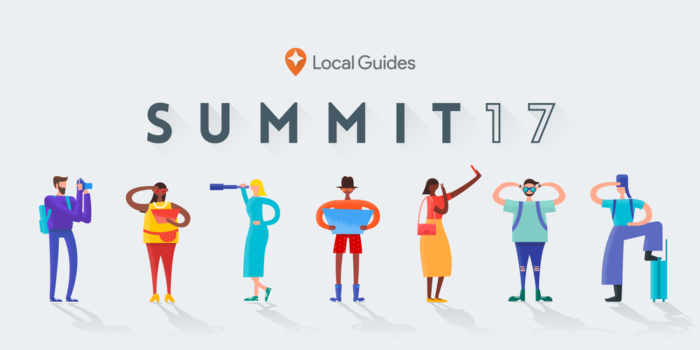 At level five, you get proprietary information about what’s to come with Maps and a possible invite to the Local Guides Summit. If you reach level four or higher by August 31st, 2017, you have the chance to receive 3 months of Google Play Music and 75% off a movie rental on Google Play. You can escalate levels quickly by submitting fair reviews, turning on Google Photos, and enabling Location History in Maps. You get more points with both images and reviews together. Adding new venues to Google Maps is another surefire way to rack up the points. By filling in business information like hours, address, name, etc., you make a valued contribution to their database. Their appreciation is shown through the points. Answering pop-up questions doesn’t earn you too many points, but they’re quick and easy. All in all, local guides is a great opportunity for you to help out consumers in your area and earn free stuff! It may not directly contribute to your Kansas City internet marketing, but it’s reassuring to know that there are people out there who are providing your business information to Google on your behalf. For more information, check out the local guides help center. 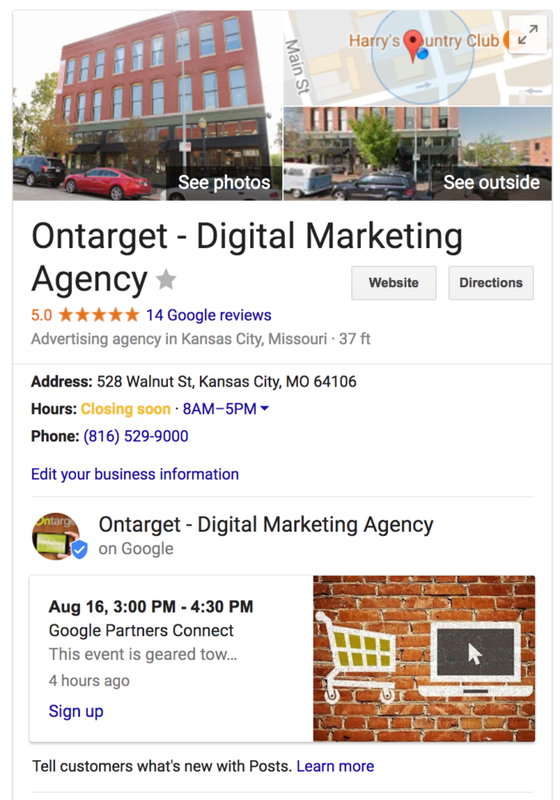 We specialize in Kansas City internet marketing, so contact us if you’d like to take advantage of your Google My Business listing. Not only does it showcase the best parts of your business right on the search engine results page, but it also indicates to potential customers that you’re a digitally active business.